Do You Watch Rick and Morty? If So, You Need These Toys and Collectibles! Since the animated adult comedy series' premier on December 2, 2013, its popularity has grown, resulting in expansion into other media that include comics, video games, and tabletop games. 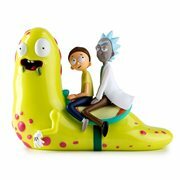 And part of that growth is an ever-increasing selection of fantastic fan-targeted Rick and Morty merchandise like you'll find below. See what you think! Since the animated adult comedy series' premier on December 2, 2013, its popularity has grown, resulting in expansion into other media that include comics, video games, and tabletop games. 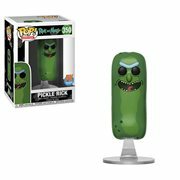 And part of that growth is an ever-increasing selection of fantastic fan-targeted Rick and Morty merchandise like you'll find below. See what you think! Rick and Morty is an adult animated science-fiction adventure comedy series created by Justin Roiland and Dan Harmon for Cartoon Network's Adult Swim. The series originated from Roiland's short parody film, The Real Animated Adventures of Doc and Mharti, that stars parodies of Doc Brown and Marty McFly from the Back to the Future film trilogy. Who Are Your Favorite Rick and Morty Characters? Do you love Jerry and Beth Smith, their kids Summer and Morty, or Beth's father Rick Sanchez? How about their alternate-universe versions? Or maybe some other character tickles your fancy? Follow the misadventures of cynical mad scientist Rick and his fretful, easily influenced grandson Morty, and collect terrific action figures, mini-figures, and vinyl figures - including Funko's adorable Pop! 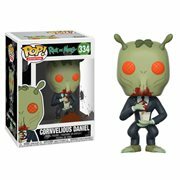 Vinyls and Dorbz - of Morty Smith, Rick Sanchez, Mr. Meeseeks, and more. And believe it or not, devoted Rick and Morty fan, there's even the famed Pickle Rick! So Many Ways to Flaunt Your Fandom! 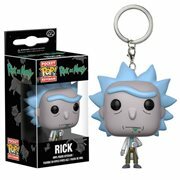 As you join in their adventures across an infinite number of realities, travelling to other planets and dimensions through portals and via Rick's flying car, you can express your undying fandom in the form of lapel pins, hats, key chains, car accessories, construction toys, flags, games, mugs, glassware, puzzles, T-shirts, wallets, watches, and even backpacks. Go for it!